Please use the form below to reserve a trip or charter online. NOTE: Using the online request form does not guarantee your trip. We will call you to confirm your request. 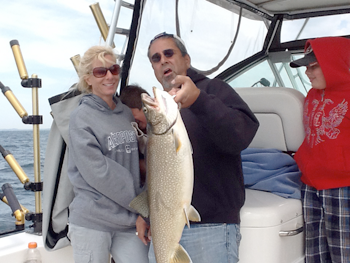 If you prefer, you may reserve a trip by calling Captain Dan at (231) 730-2991 or Captain Isaac at (231) 730-0421. If you have any questions, if you wish to inquire about charges, of if you simply want to learn more about our trips and charters, do not use this form. Instead us the Contact Us form to make these inquiries online. Of course, you are always welcome to call us to ask any question. *Your Name and either your Phone Number or Email Address are required. Use of this form does not guarantee your trip. We will contact you by phone or email to confirm your request. In order to complete this form, you must CLICK in the first box to select a subject, then TAB to each of the other fields including the VALIDATION code to enter your information. Click SUBMIT to complete the form. Thank you.